A translation of the story 'Amritsar: Pre-Independence', from Krishan Chander’s collection 'Hum Vehshi Hen (We are Savages)', published in 1948. Translator’s note: The story under translation Amritsar: Pre-Independence is from Krishan Chander’s collection Hum Vehshi Hen (We are Savages) published in 1948, and depicts the political and social situation in an insurgent city situated in the heart of Punjab, after one of the worst tragedies of colonial India, the Jallianwala Bagh massacre in 1919, 100 years ago today. It is actually the shortest story in the collection and serves to challenge what is taught as official history in Pakistan, about the united, peaceful struggle and sacrifice of Hindus, Muslims and Sikhs against the might of the British empire in colonial India. There are moving accounts of Siddiq and Om Prakash, two friends who risked their lives for each other at the height of the massacre. However, the real heroes of the story are the valiant women of Amritsar: Begum, Zainab, Paro and Sham Kaur who took on the senseless clause of the infamous Rowlatt Act (enforced in the wake of the 1919 massacre) that everyone will have to salute the Union Jack and crawl on their knees to pass from one street to another. All four paid with their lives while resisting and became martyrs. This is a valuable social history of the Amritsar massacre, surprisingly lesser-known than other better-known fiction on the subject from other masters of Urdu fiction like Saadat Hasan Manto, Ghulam Abbas, Abdullah Hussein and Khawaja Ahmad Abbas. The story on one of the seminal events of the history of united India offers a chastening lesson in history which is usually not found in our history books. For example, in the private school where I teach, prescribing this story in the ‘O’ levels curriculum proved eye-opening for my students, a welcome counterfoil to official history. There was a crowd of thousands in Jallianwala Bagh. The Hindus could be quite distinctly identified from the Muslims, the Muslims from the Sikhs. The faces were different, so were the moods and cultures; and the faiths. 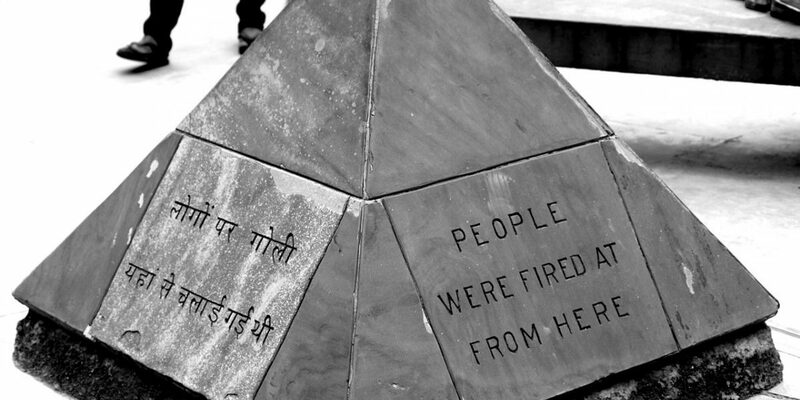 But today all these people had arrived in Jallianwala Bagh carrying just a single heart. There was a crowd of thousands in Jallianwala Bagh, and all them were unarmed worshippers of freedom. Their hands held neither clubs nor revolvers, neither Bren guns nor Sten guns; neither hand grenades nor local or imported bombs, but despite having nothing, the heat of the glances gave a premonition of the heat of the apocalyptic lava of some storm. The imperialist forces had iron weapons. Here the hearts had turned to steel, and such purity had filled spirits which is only attained through exalted and noble sacrifice. The water of the five rivers of Punjab and their romance and true love, and their historic valour was present today in the flickering cheeks of every individual, man, child and the aged; a radiant pride which is only attained at that moment when a nation attains youth, and a slumbering country awakens. Those who have seen this mood of Amritsar, can never forget this sacred city of gurus. Siddiq lived in Katra Fateh Khan. 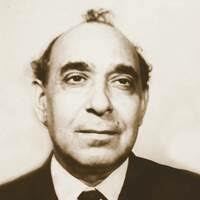 Om Prakash also lived in the same locality; he was the son of an eminent trader of Amritsar. The two knew each other since their childhood. They were not friends, because Siddiq’s father sold raw leather and was poor; while Om Prakash’s father was a banker and was rich. But they knew each other. They were neighbours and today, both together in the same space in Jallianwala Bagh were giving space in their hearts to the thoughts and impressions of their leaders. They would occasionally steal a glance at each other and smile, as if they had been childhood friends and knew each other’s secrets. And when the bullets were fired, Om Prakash was hit first near the shoulder and he fell on the ground. When Siddiq bent to see him, the bullet went through, rupturing his leg. Then the second bullet came, and the third. Then as if it is raining, indeed just like that, bullets began to fall and blood was shed. And Sikh blood mingled with Muslim blood, and Muslim blood with Hindu blood. Just a single bullet, a single force, a single glance, which went on rupturing all hearts. Siddiq bent further over Om Prakash, he made his body into a shield for the latter. And then both of them dragged themselves on their knees in the rain of bullets near the wall which was not too high to be jumped over. But high enough indeed in that it was not too difficult to become the dangerous target of a soldier’s bullet while jumping over. Prakash supported himself through Siddiq’s hips with great difficulty and raising himself, tried to jump across the wall. ‘Hurry up,’said Siddiq from below. But Prakash had already passed on to the other side before that. Siddiq looked around in his crouched position and when he leapt suddenly by straightening himself up, he was on the other side of the wall. But while going over to the other side, a bullet came whizzing through his other leg. But Prakash was lying dead. The diamond ring on his hand was still alive. The Rs 2,000 notes in his pocket were still writhing, his warm blood still continued to fulfil the earth. There was movement, life, agitation; but he himself was dead. Siddiq lifted him and carried him home. There was acute pain in both his legs. Blood flowed. The diamond ring said and heard a lot. People too admonished. The culture which was different, the faith which was separate, the idea which was so alien, it also used sarcasm and slander. But Siddiq listened to nobody and not even the plea of his overflowing blood and escaping life; and kept to his path. This was a totally new path; though it went towards Katra Fateh Khan. Today he was accompanied by angels, though he carried a kafir on his shoulders. Today his spirit was so rich that upon reaching Katra Fateh Khan, he told everyone, ‘Keep this diamond ring and the Rs 2,000 notes and the martyr’s corpse.’ He just said this and fell there as well. The citizens arranged their funeral with pomp, as if they were blood brothers. It was not curfew time yet. Four women of Kucha Ram Das – two Muslim, one Sikh and one Hindu came to buy vegetables. They passed the front of the sacred gurdqara. All of them paid their respects and turning their faces away, busied themselves in buying vegetables. They had to return very soon. The curfew was about to happen, and the air echoed with the call of the martyrs’ blood. But still they got late while talking and buying provisions, and as they turned to leave, just a few minutes remained in the curfew. The women saluted the flag, flustered. ‘Now get out of here immediately by crossing on your knees from here to there,’ the soldier said, mentioning the length of the road. ‘On our knees. We can’t do this,’ Zainab said timidly. ‘We will go as we please,’ Sham Kaur said proudly, ‘let’s see who dares to stop us.’ She began to walk. ‘Stop. Stop’, Paro said, petrified. Sham Kaur was walking straight. Zainab and Begum looked at each other and then both of them fell on their knees. The gora was pleased, thinking they were following the sarkar’s orders. Zainab and Begum fell on their knees, raised both their hands and after a silence of a few moments, both stood up straight and began to cross the galli. The gora was left stupefied, then his cheeks flickered with anger and he straightened his rifle. The gora gently instructed her. ‘No need to cry. Just follow the sarkar’s orders and cross this galli like this by falling on your knees. Then nobody will harm you.’ The gora explained the manner of walking to her by himself falling on his knee. Paro came near the gora, crying. The gora now stood straight haughtily. Paro spat on his face forcefully and then turning back, began to cross the galli. She was walking straight proudly in the center of the galli and the gora was looking at her with amazement. A few moments later he straightened his gun. And Paro, who was the weakest and meekest of her friends, died ahead of everyone else. Paro, Zainab, Begum, Sham Kaur. The translator, Raza Naeem, is a Pakistani social scientist, book critic, and an award-winning translator and dramatic reader currently based in Lahore. He is the recipient of a prestigious 2013-2014 Charles Wallace Trust Fellowship in the UK for his translation and interpretive work on Saadat Hasan Manto’s essays. He is currently the President of the Progressive Writers Association in Lahore. He can be reached at razanaeem@hotmail.com.